HHS failed, and it means they failed children. They put children at risk. They have left the lives of children and the safety of vaccines up to the manufacturers like Merck, GSK, etc., who have lied so many times we can’t even fathom. 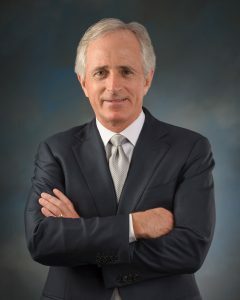 I recently sent Senator Bob Corker an email alerting him of the recent lawsuit filed against Health and Human Services (HHS) that found that HHS has failed to oversee and report on the safety improvement of vaccinations being given to our children. The response I received was heartbreaking and down right disrespectful. If Sen. Corker truly read the email, then he disregarded my concerns and responded with a cookie cutter response. I feel that his unwillingness to address parental concerns regarding the safety of vaccines and his unwillingness to be what he is placed in office to be: Someone looking out for the best interest of our society and especially our children, shows he never read the email or he does not care. We, as a nation, must demand that Congress Members represent us, and not Big Pharma lobbyists, by addressing the fact that our children’s lives are being placed at risk when they allow for zero follow through by our HHS to ensure that vaccines are safe for our children. Ignoring that HHS has violated their duty required of them by the 1986 National Childhood Vaccine Injury Act. I want to be very clear: This post is not an attack on an individual, but I cannot stand when those in Congress disregard the concerns of the people they represent. This especially holds true when it comes to the lives and safety of children. That being said, I apologize that I may have gotten a little worked up and said things negatively toward Senator Bob Corker. I do not know that man personally, and I am simply commenting on the response I received after notifying him of the failure of Health and Human Services to uphold their responsibilities of making sure vaccinations were safe for our children. We have to watch over our children! We can no longer take the word of liars for truth when it comes to vaccinations. We must demand better from our congress members or we must remove them from office.